Have You Attended One Of Our Workshops? Take your Pilates training to the next level – learn from professionals who have the expertise, experience, and ability to share their knowledge and how to apply this within the Pilates environment. At Core Pilates Brisbane we are all about learning, questioning and extending ourselves. If this fits with you, we invite you to attend one of our workshops on topics ranging from pre and post-natal care, bone-strengthening, back care, postural correction, general conditioning and more. Our workshops aim to help you take this knowledge and apply it within your working environment to better facilitate change, strength, health, and wellness for your clients. As Makarlu is brand new to the market we appreciate that many people are wanting to purchase a set but are not sure how to use it. Accordingly we will be offering a Makarlu Masterclass of 2 hours with Carla Mullins, co-developer of Makarlu and a Level 4 teacher with both the APMA, PAA and PMA. How to use Makarlu as a prop with pilates apparatus and CoreAlign* The class will include a pair of Makarlu Lotus valued at $200. Cost: $250 – * The class will include a pair of Makarlu Lotus valued at $200. Effective preparation underpins the whole client program. The ‘Warm Up’ section (before The Hundred) of any program provides the opportunity to make or break the session. It is here that we can strategically set up muscle patterns, postural address, and specific focus that allows the program to build from a positive starting point. This preparation section can then be honed for client home practice and progression. Get in touch to register for one of our courses today! "From my first conversation with Lisa Jackson at Core Pilates to enquire about learning Pilates through PITC in September 2013, Lisa's passion for Pilates has been contagious. As a student mastering the Diploma of Professional Pilates Instruction, with only a few years of Studio Pilates experience, the volume and depth of knowledge required seemed extensive and at times daunting. Lisa and her staff were always very supportive, approachable and wonderfully patient mentors. I need to be close enough to see and feel the execution of exercises myself to learn. I will forever be grateful to Lisa's clients, Lisa and her staff for not only enabling me, but also encouraging me to do this. 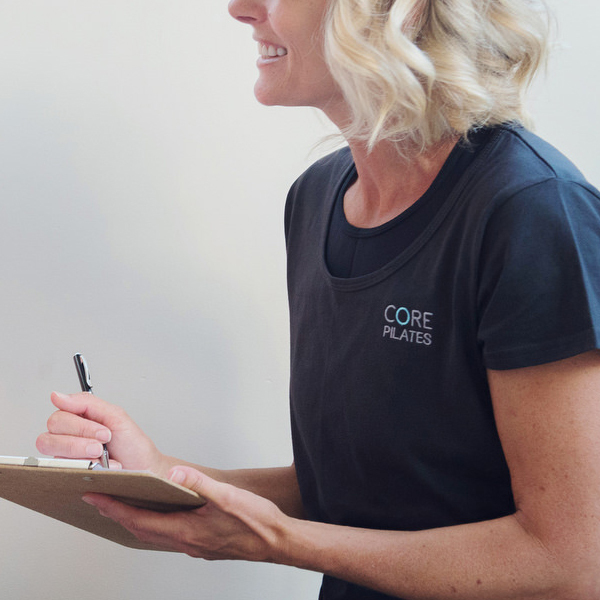 Core Pilates is an inspirational and happy studio where the attention to detail is meticulous. I thoroughly enjoy going for my personal sessions, continuing to learn, and feeling blessed to be mentored by Lisa and her staff." © 2018 Core Pilates Brisbane. All Rights Reserved.